I had some free time again today so worked on challenges for Falliday over at Splitcoast. The first challenge is to make a fall card but use no white or Vanilla on it. 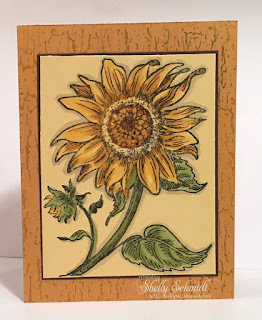 I stamped the Sunflower by PSX onto So Saffron. I colored it with Copics. 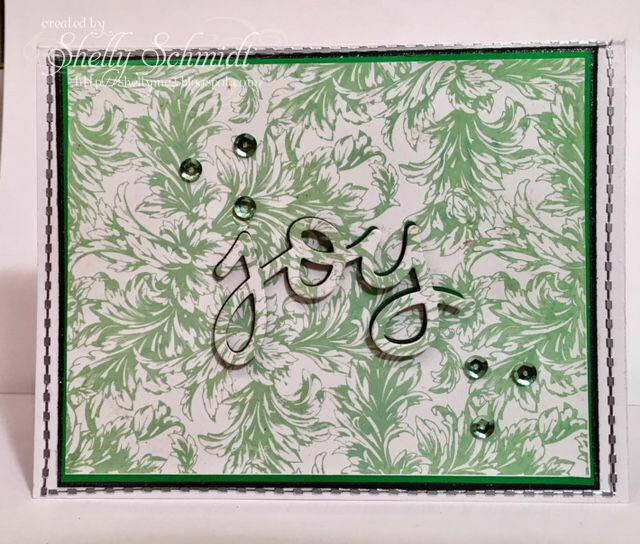 The background is stamped with a Stampin Up image. 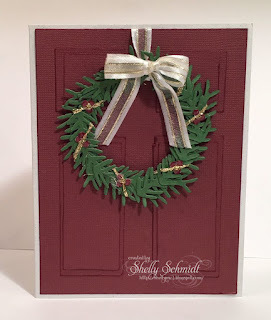 This challenge is to decorate your door or window for the Holidays. 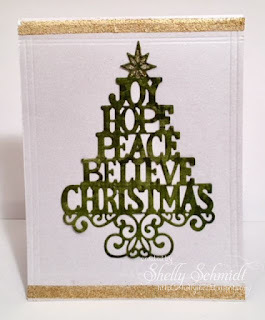 The wreath is made with a Cheery Lynn die and SU green cardstock. This card is a Holiday card with Scoring on it. 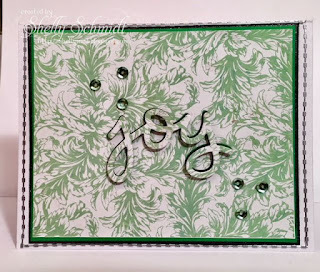 This die is by Creative Expressions. I cut it out using Bo Bunny DSP. The gold borders are score tape with Gold EP. This is the final card- a technique with dies. I think the Joy doe is Memory Box. The background is Technique Junkies. It is stamped onto white glossy cardstock. 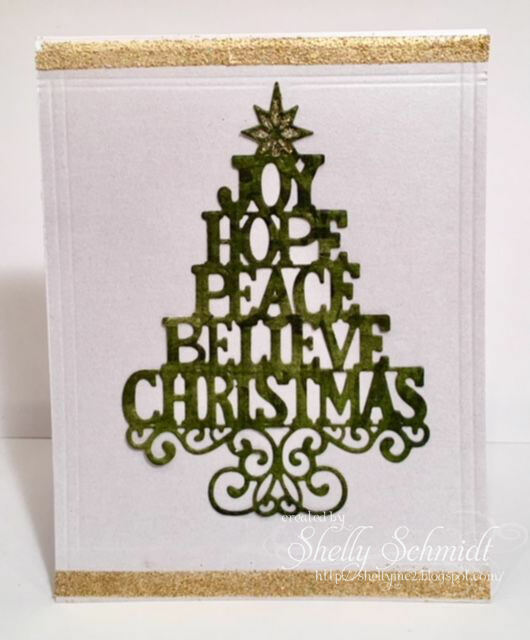 WOW you have really had another busy day making another batch of gorgeous cards. 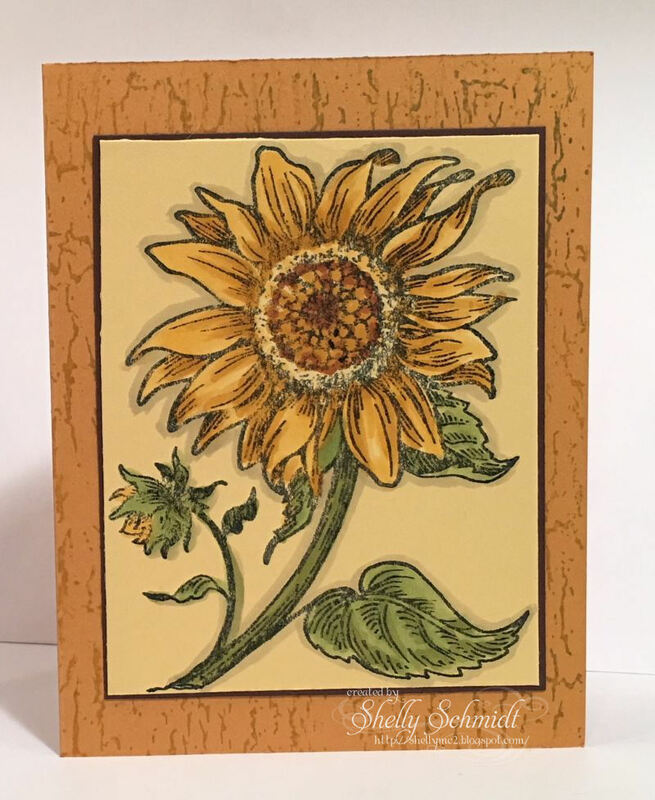 That sunflower is beautiful - love that flower in the fall. Then what a collection of Christmas cards. That wreath and door are stunning! Shelly, these four cards are wonderful! Each one is a delight!!! Sensational work on each and every one of these beauties, Shelly!! Each one so perfect for its challenge! !